Add romantic fabulous vibe to your look with Randi chandelier earrings. 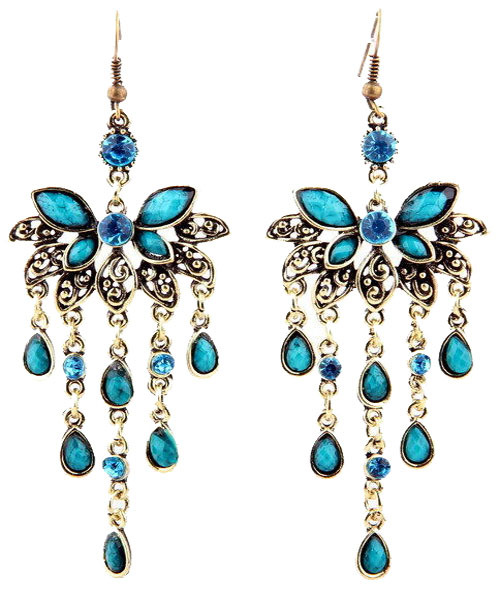 Butterfly design is created by sky blue crystals and gold-plated curvy metal details. The earrings feature five pendants made from round beads alternating with shiny crystals. Buy today from the hottest range of fashion jewellery online Australia.